The cases of dengue already reached 7,000 last week and about 500 people died. 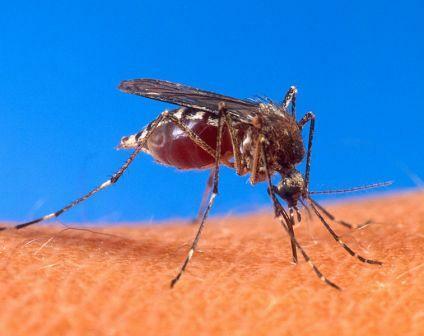 According to the news, most of the dengue victims are children and infants. As of the moment, wards of government hospitals are filled with patients waiting to be healed. Because of this, the government stepped up its campaign to stop the dengue outbreak. We should also do something to prevent the outbreak of dengue and protect our family. It is known fact that Aedes aegypti mosquitoes, the carrier of dengue, breeds on stagnant water. Be sure to remove all stagnant water in your home to deny mosquitoes their breeding places. Dengue mosquitoes usually bite at dusk, so it is good to spray insecticide inside your house during these time to shoo away dengue carrying mosquitoes. Dengue mosquitoes may also bite during the day, but usually in the shady areas. However, be careful using insecticides because there are research that too much inhalation of insecticide is bad for the health. School principals allowed their students to wear jogging pants in school so as to protect them from mosquito bites. You could also do that when you are at home. Also, you could also apply mosquito repellants on your skin so as to keep mosquitoes at bay. It is also recommended to use mosquito nets when you are sleeping to keep mosquitoes away from you and your family while you are sleeping. Just make sure that mosquitoes can’t pass through your mosquito net. Electric bug zappers are available in the supermarket for a low price. This gadget can kill mosquitoes better than the regular fly swatter. I also recommend buying Imarflex Electric Mosquito Killer. Making your home dengue free does not mean that your family will be safe from dengue. If your neighbors have stagnant water inside their homes, then you efforts will be put to waste since mosquitoes coming from your neighbors houses will also visit your home. Thus, to ensure that every home will be safe from dengue, the whole must act collectively to make the whole community free from dengue. Finally, if you notice that any of your family is having fever or showing symptoms of Dengue, then don’t hesitate to bring them to the nearest hospital. Always remember every moment matters when you have a case of Dengue. Visit Before the Eastern Sunset and read my experience in eating Hainan Chicken and Roasted Duck. Also drop by Digital Think Tank and discover what is the best color of hyperlink for your blog. Picture of Aedes Aegypti mosquito from WikiCommon. Dengue is also a huge threat in my country. Every year there is high death toll due to dengue, which is sad because if everyone practises preventive measures, it will not be such a deadly disease. The only way to defeat dengue is deny them stagnant water where they could breed. However, many of the people are irresponsible and do not care if their place is clean or not. Something must be done to totally educate the people about this disease. Wow. Special pala dugo mo eh. Dapat sa iyo pinaparami. Dengue and malaria are the two diseases that are transmitted through mosquitoes. So we must take necessary steps as mentioned in this post to prevent these diseases.